Finally! The school flyers are complete! Anita and I can now start advertising and distributing these flyers to local schools for our upcoming event. The moments we have anticipated throughout the many weeks of organizing and planning have arrived. This week Anita and I are focused on creating a banner to present at the International Migratory Bird Day event, which will display a timeline of the importance of birds and their conservation history. 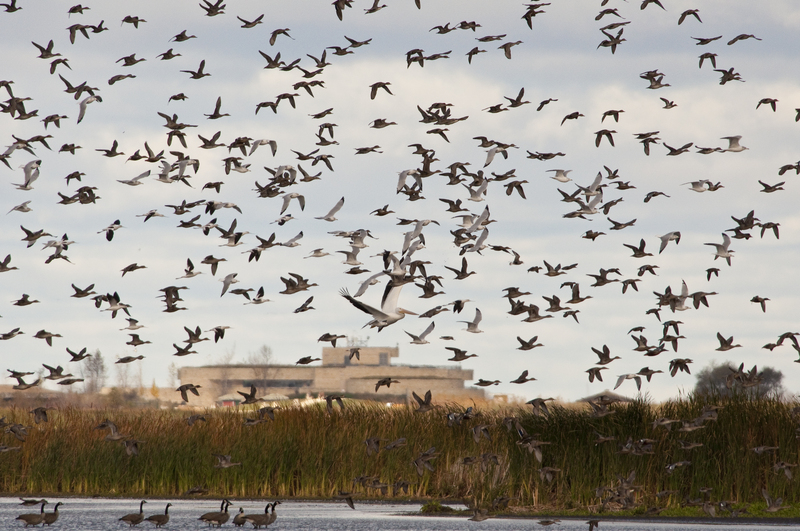 Some of the events throughout history that we highlighted include, of course, the year International Migratory Bird Day started, as well as this year’s Centennial celebration of the Migratory Bird Treaty with Canada. Another obstacle we have been faced with is determining the type of prizes we would like to give for each activity we have to offer. I assumed the most difficult part of the planning was over after all the discussions we had to kick-start the event, but I definitely underestimated the amount of details that need to be considered when planning such a major event. Although there are many challenges, Anita and I are eager to learn and thrilled to participate in this year’s event.